Is There a DVD Ripper Available for Linux? If you're seeking for a program which can work on Linux machine, here lists top 3 free Linux DVD rippers helping you back up DVD disc as digital file on hard drive. HandBrake is where's at when it talks about DVD ripping. It is one of the most popular free DVD ripping software available for multi-platforms, Linux, Windows and macOS. It can process any unprotected DVD or Blu-ray sources such as physical discs, VIDEO_TS folder, ISO image and VOB files. Packing a batch of video/audio encoders – H.265, H.264, MPEG-4, MPEG-2, VP8/9, AAC, Mp3, FLAC, Vorbis etc, it enables you to copy DVD to hard drive as MP4, M4V, or MKV. You can also enjoy optimized presets for devices to make the digital copy from DVD completely accepted by your iPhone, iPad, Android etc. HandBrake prepares a simple process to rip DVD on Linux, loading source > selecting output > starting conversion. On the other hand, advanced settings are included in various tabs for experts to adjust parameters - like frame rate, bit rate, image size (resolution); enable filters – for example, to choose a deinterlace or denoise option to enhance quality; crop/rotate/flip video; add subtitles and so on. HandBrake is now updated to version 1.1.2. You can download current edition through Ubuntu deb or Flatpack  (for 64bit) from the official download page: https://handbrake.fr/downloads.php. VLC is acknowledged for its power on media playback while this time, we show our focus on its DVD ripping capability. If you have installed VLC as a media player, there is no need to get another Linux DVD ripper because it can make it. VLC enables you to open a disc or DVD source (VIDEO_TS folder, ISO Image) and convert/save it as a digital file encoded in H.265, H.264, VP8, MPEG-2, WMV and more. It allows you to rip part of a movie/TV show by setting Starting Position (certain titles or chapters) or back up whole DVD video by leaving the settings default. Additionally, you can choose to retain one audio/subtitle track or all tracks. Encoding parameters can be modified as well, such as codec, bitrate, frame rate, resolution and so on. 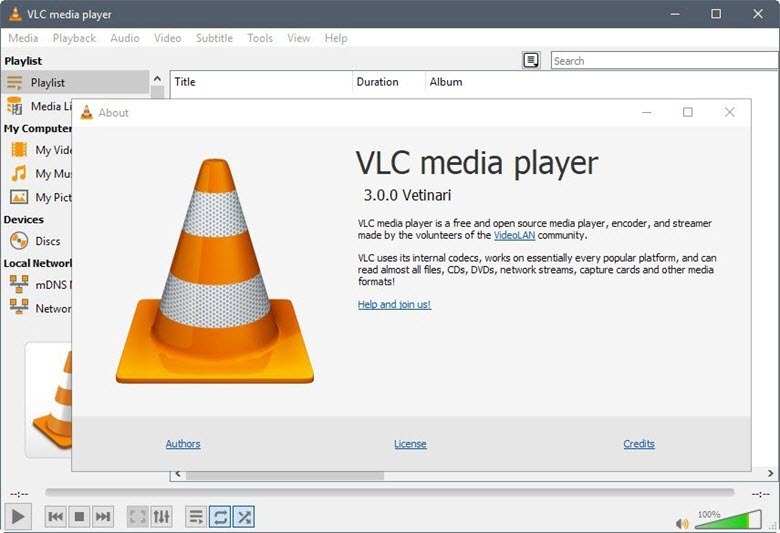 VLC offers multiple versions for different Linux distributions (Ubuntu, Arch Linux etc.). Download the matching version for your Linux version from here: https://www.videolan.org/vlc/#download. What we should notice is that: Although libdvdcss is included in VLC helping access unscrambling DVDs encrypted with CSS, there's no getting away from the fact that VLC loses the potentiality to handle copy-protected commercial DVDs according to our tests and users' feedbacks. MakeMKV is another program collected in our top free Linux DVD rippers list. It offers one-click solution to convert DVD disc or ISO image to MKV while preserving all video/audio tracks, meta-information and chapters. After you load the DVD source, MakeMKV will scan titles and chapters and skip over some titles whose length less than 120 seconds (by default) or a customized number. Then, you just need to select one title (including video, audio, subtitle tracks), set output folder and click Make MKV icon to get a MKV copy from DVD. It rips DVD at a fast speed, about 10 minutes to rip a 2-hour movie. MakeMKV offers beta version (30-day free trial) to rip DVD and Blu-ray for free. Once the beta phase is ended, you can use DVD ripping capability with no charge but purchase a license for blu-ray disc conversion. It announces supporting encrypted DVDs but it only scans 1 title of my movie: The Avengers and the resulting file is only 15-minute long. Bottom Line: HandBrake is seemingly the most recommended Linux DVD ripper because of its ease of use, wide support of inputs/outputs and rich settings. With combination of media player and DVD ripper, VLC is more versatile but you may face not working issue now and then. Our tests prove that MakeMKV delivers the fastest speed but you should install a MKV player to watch the resulting file. Choose one you like best or otherwise, you can run a more powerful Windows DVD ripper on Linux by making use of a Windows compatibility layer for Linux, for example Wine. WinX DVD Ripper Platinum is a good choice, which empowers users to digitize ANY DVD with removal of copy protections – CSS, region code, RCE, Sony ArccOS, Disney DRM or other special schemes. Built-in hundreds of codecs and profiles, it can rip DVD to MP4 (H.264), AVI, MOV, FLV, WebM, iPhone, iPad, Samsung, HuaWei, Xbox, PS3/4, YouTube, Facebook etc, in a few of clicks. It also allows you to 1:1 copy DVD to VIDEO_TS folder, ISO image, or single MPEG2 file while retaining most even all video/audio/subtitle tracks. Full hardware acceleration with support of Intel/NVIDIA/AMD GPUs helps rip DVDs speedily while keeping high quality and cost low CPU usage. Now, you can download and run this Windows DVD ripper on Linux for ripping all discs in your DVD collection. It also arrives with a Mac version available for macOS Mojave or lower versions. Best DVD Ripper for Windows 10 to Rip DVDs to MP4/AVI etc.